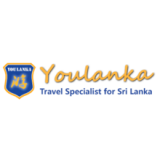 Youlanka Travels evolved geographically by expanding its office’s in Sri Lanka and China. The number of passengers serviced now is more than ten times higher that we first started up. Through continuous investments in contemporary travels related technology and quality assurance, Youlanka Travels has positioned itself today as one of the leading DMCs in Sri Lanka & China capable of meeting and Tour Operators requirements.